That's the message from Jeffrey Gundlach, the star bond investor who predicts oil will plunge another $10 (it's $80 a barrel now). While another decline in oil prices would bring smiles to American consumers -- think around $2.70 a gallon at the pump as a national average -- it could spell trouble for the boom in shale projects boosting the U.S. economy. "I think it's going to $70 and if it does, it's bye, bye fracking. Goodbye all of the great job creation from fracking because fracking becomes too expensive if you can buy oil at $70 a barrel," Gundlach said on Wednesday at ETF.com's Inside Fixed Income Conference. Those concerns help explain why energy exploration stocks like Apache (APA)and Newfield Exploration (NFX) have been creamed in recent weeks as investors watch the downward spiraling price of oil. Crude plunged 2.4% to $80.52 a barrel on Wednesday. That's the lowest price since June 2012. Oil politics: While Gundlach acknowledged China's economic slowdown is hurting oil prices, he mostly pointed to geopolitical drivers to support his bearish energy call. "I'm convinced that Saudi Arabia wants the price of oil at $70," said Gundlach, CEO and Chief Investment Officer of Los-Angeles-based DoubleLine. That's because the Arab country's budget can withstand lower oil prices than some other oil-producing countries, including arch rival Iran. Saudi Arabia raised eyebrows recently by ramping up production in the face of plummeting prices. "They don't care if they run a short-term deficit because they love turning the screws on the people that mean them harm in the Middle East," said Gundlach, hinting at Iran. Another leg down in oil prices would also be bad news for Russia, which relies heavily on oil revenue to balance its budget. Last week, Moody's cited plunging oil prices in its decision to downgrade Russia's credit rating two notches to just above "junk" status. Meet the new 'bond king': Gundlach, 54, has seen his star rise in recent years, especially given the struggles of rival Bill Gross, the founder of bond giant Pimco. Gundlach's DoubleLine has been a beneficiary of Gross's surprise exit from Pimco last month. Investors have yanked cash from Pimco, while DoubleLine has enjoyed a surge of inflows. Before he left Pimco, Gross tried to sell Gundlach on the idea of teaming up to form a powerful one-two punch in the fixed-income world. "I am Kobe. You are LeBron James," the older Gross told Gundlach, according to Reuters. While the two didn't end up forming an alliance, Gundlach knows something about being forced out. He was fired in 2009 by TCW Group over a disagreement about control of its fixed-income division. 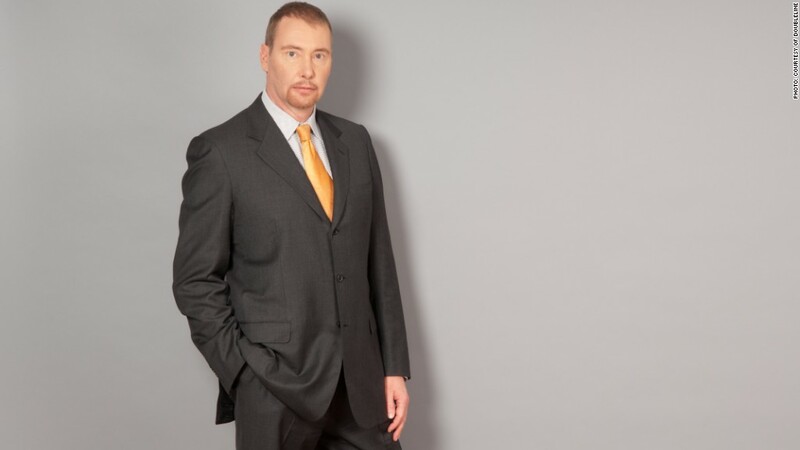 Since then, Gundlach has turned DoubleLine into a leader in the financial world. The firm listed nearly $52 billion in assets under management as of the end of the second quarter. That was before customers started fleeing into Gundlach's arms from Pimco.